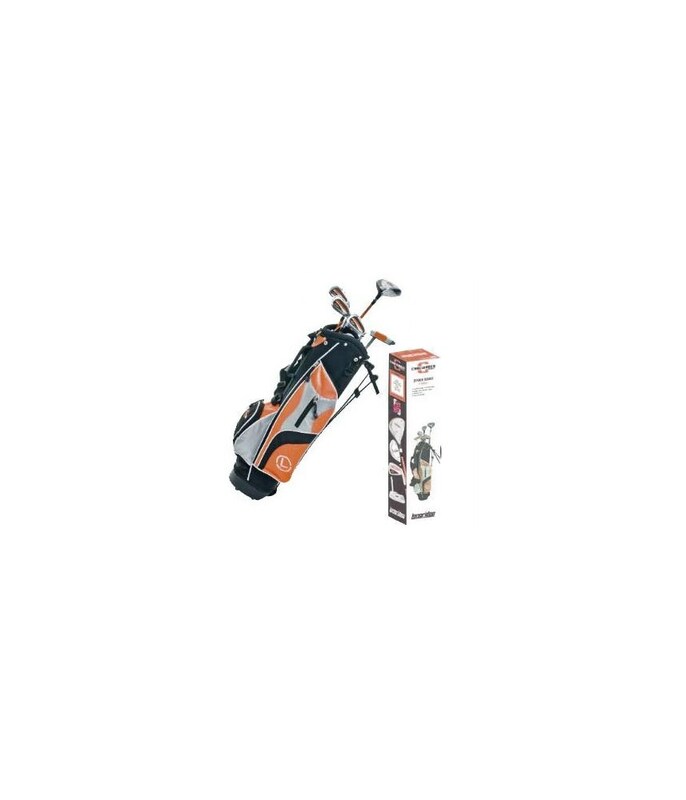 Age 4 (Yellow) - 5 Piece set, includes: Driver, 7, 9 Irons, Putter, Stand Bag & Headcover. 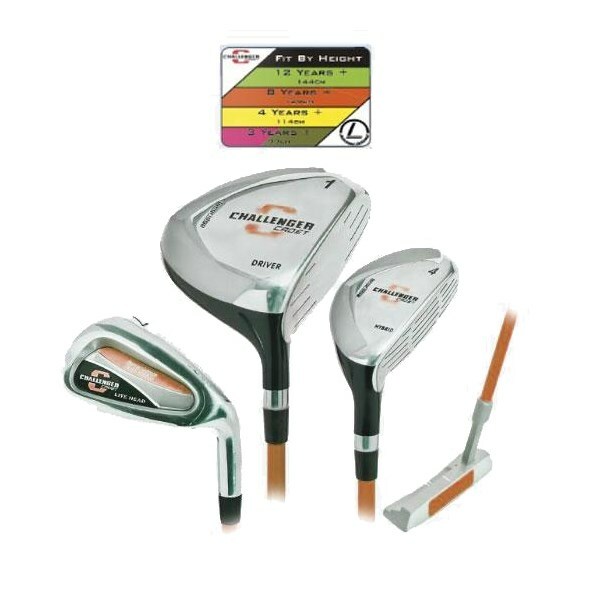 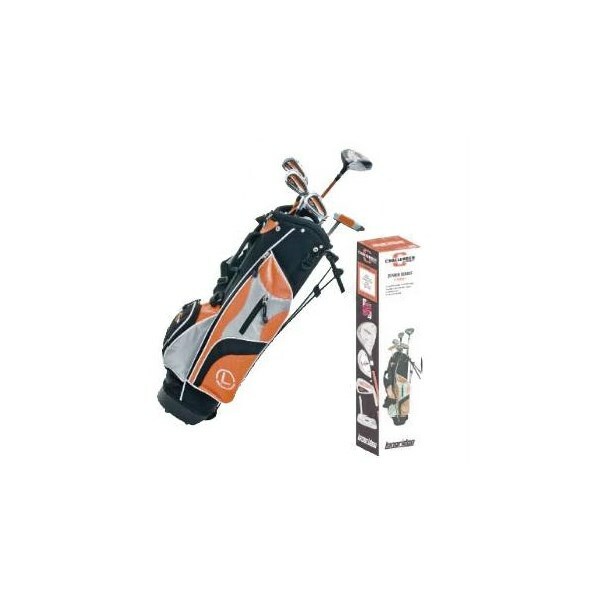 Age 8 (Orange) - 5 Piece set, includes: Driver, 7, 9 Irons, Putter, Stand Bag & Headcover. 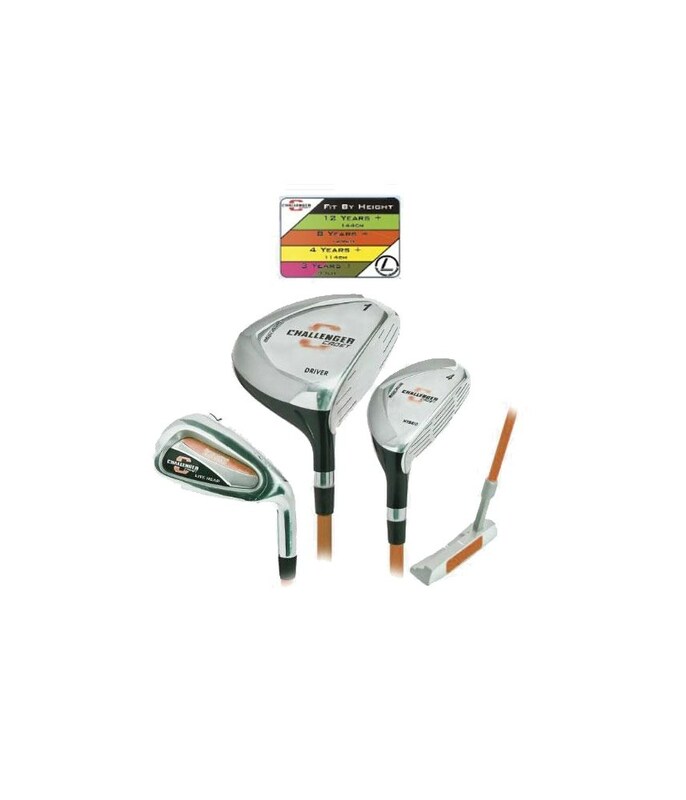 Age 12 (Green) - 6 Piece Set, includes: Driver, #4 Hybrid, 7,9, PW Irons, Putter, Stand Bag & Headcover.